You will be amazed at the number of the people whose daily life is composed of online gambling. Everywhere across Africa in countries like Botswana, Ghana, Kenya, Mauritius, Namibia, Nigeria, South Africa and even Zambia, people gamble online either through playing online casino games or by betting on sports. On top of that, almost every African country has land-based casinos or betting shops. According to a research by YeboYesCasino.co.za, the biggest factor in how much online gambling will be wide spread and available is the financial situation of the citizens in the country. Those that can afford themselves to have personal computers, laptops, tablets or smartphones have an easier access to online gambling sites. 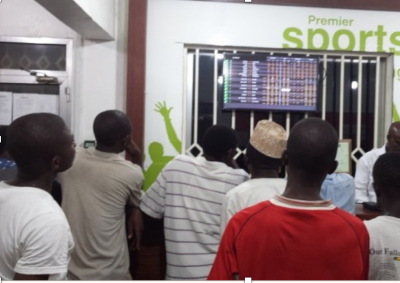 Those that are more poverty stricken go to land-based betting shops more where they can bet on sports. But, still the largest number of gamblers come from the poorest countries. An African country where online gambling has penetrated the most is South Africa without a doubt. You can easily find a top 10 South African online casinos list on the internet or top 10 Nigerian ones, compared to for example Zambian online casinos. That doesn’t mean that there aren’t any online gaming sites that accept players from Zambia, it just means that there are less or no sites at all that are specifically set up for Zambians. On the other hand, online casinos in South Africa seem to be launching more and more. This is nothing to wonder since the country has the best regulated gambling market in whole of Africa and the citizens can afford a handheld technology compared to citizens of countries like Eritrea or Liberia. Currently over 30 countries in Africa have gambling legislations, but none of them regulates online gambling. For now, only South Africa has such laws and actually provides licenses to online gambling sites. In Zambia for example three forms of gambling are legal: sports betting, casino betting and lottery. But, there is no mention of online gambling whatsoever in the gambling legislation of Zambia. This is only natural since almost all of the other African countries don’t have specific regulations about online gambling, nor do many countries across the world. However, it’s still strange because online gambling has been around for more than 20 years now. But, all of that legal grey area leaves space for gamblers to bet freely without being prosecuted or pay taxes. It’s certainly bad for the country because it gains no revenue from it although it’s happening. Gambling will always be a way to escape everyday problems, a hobby for the wealthier or even a source for income for the poor Africans. It’s only a matter of time when those that still haven’t had the chance to try out online gambling sites will be able to do so. Smartphones are getting cheaper more and more, and soon they will discover the world of online gambling. The morality of this is a big question, just like alcohol is or tobacco or other vices. It’s incredible how always the poverty stricken countries are affected by gambling the most. Is gambling just one big escapade for the poor? The risks are well-known, and even though these sites promote responsible gambling, there is no telling how an individual stripped from his job is capable of perceiving gambling: a hobby or a way to make money. He certainly can’t afford it to be his hobby, but even if he can, there is still no telling how it can corrupt his life.